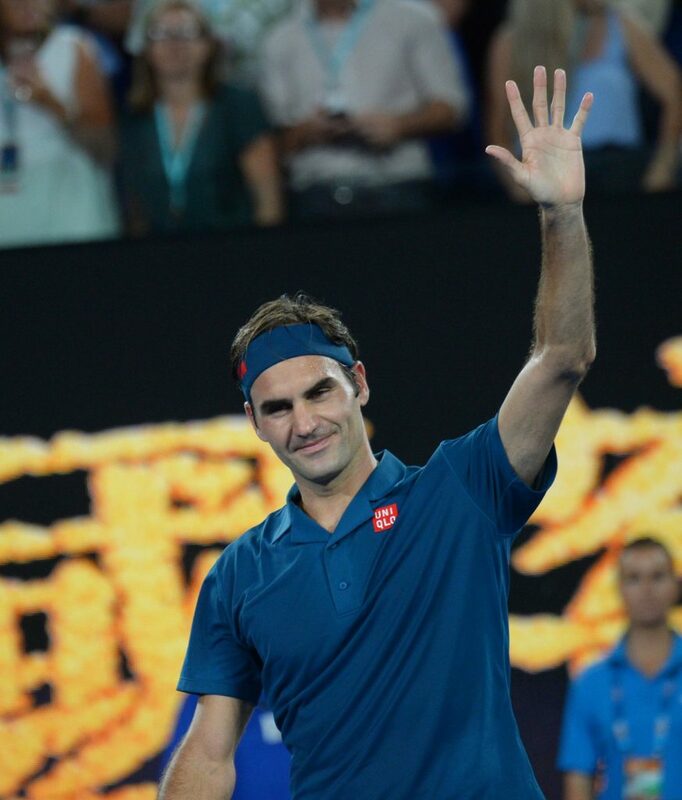 Roger Federer hammered out a 6-3, 6-4, 6-4 defeat of Denis Istomin to stamp his authority on Australian Open as he began a bid for a third consecutive trophy at Melbourne Park. The No. 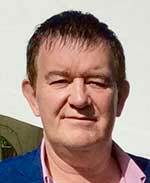 3 who has won the event six times, put on a ruthless display against the bespectacled Uzbek to power into the second round. Federer has it all to play for during the grand Slam fortnight as he seeks a 21st title at a major as well as the 100th honour of his record-setting career. “I brought good energy to the court and played some good shots,” the 20-time Grand Slam winner said. Federer beat Istomin for the seventh time, with six of those meetings coming on hardcourt. Second seed Rafael Nadal showed no signs of the injuries which have kept him from the courts for four months, with the Spaniard rolling to a 6-4, 6-3, 7-5 opening win over Australian James Duckworth. 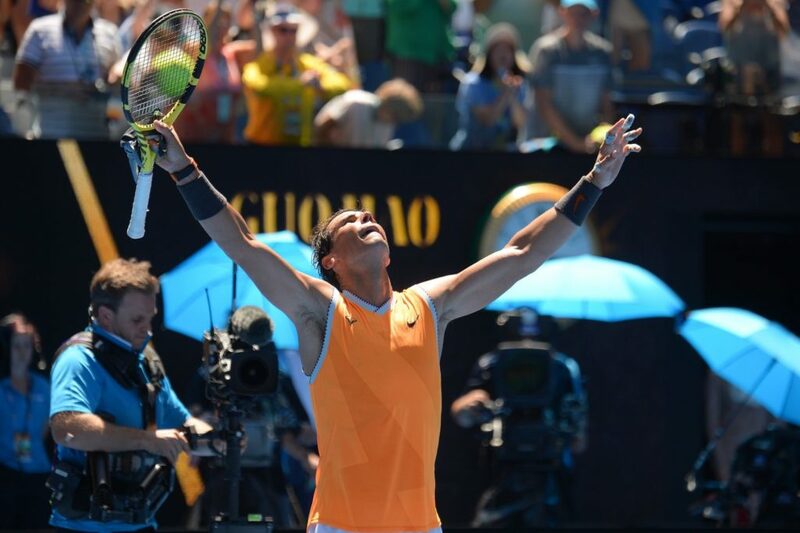 Nadal opened his campaign for a second Melbourne title by overcoming a niggle as he tried to close out a straight-sets victory. 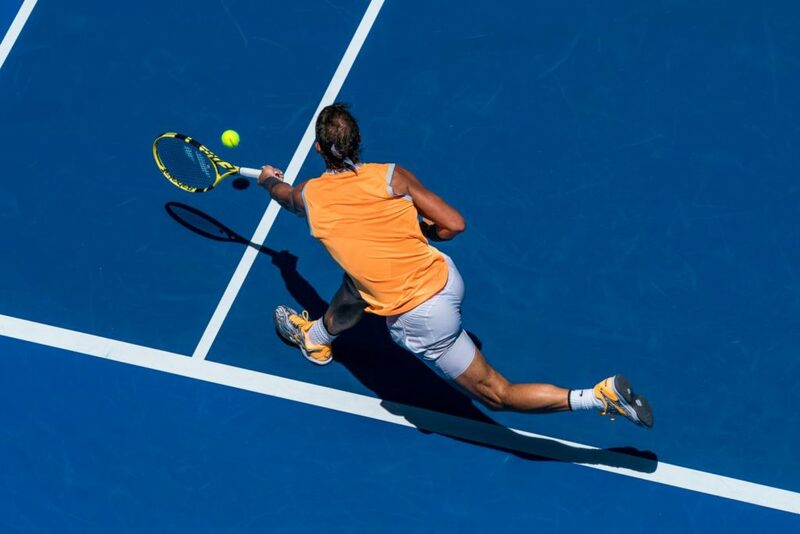 Duckworth, ranked 238th, managed to break as Nadal served for a second-round spot, sending a ball at his opponent’s feet which the seed put into the net. Trailing 4-5, Duckworth levelled at 5-all before losing serve in the final game as Nadal finished off the challenge. “It’s not easy to come back after a lot of months away,” the 32-year-old winner said. “He was playing super-aggressive on every shot and seemed determined not to hit from the baseline. Nadal is playing the Open for the 14th time and his 55th career Grand Slam. He has only suffered two losses at the opening stage – in 2013 and here three years ago when he was beaten by compatriot Fernando Verdasco. unfit to compete, eventually undergoing ankle surgery to correct a longstanding problem. He was forced to withdraw as top seed this month at the season opener in Brisbane: “I was sad not to be able to play there, I was ready but the doctor forbid me to go onto court due to a small issue with the leg. 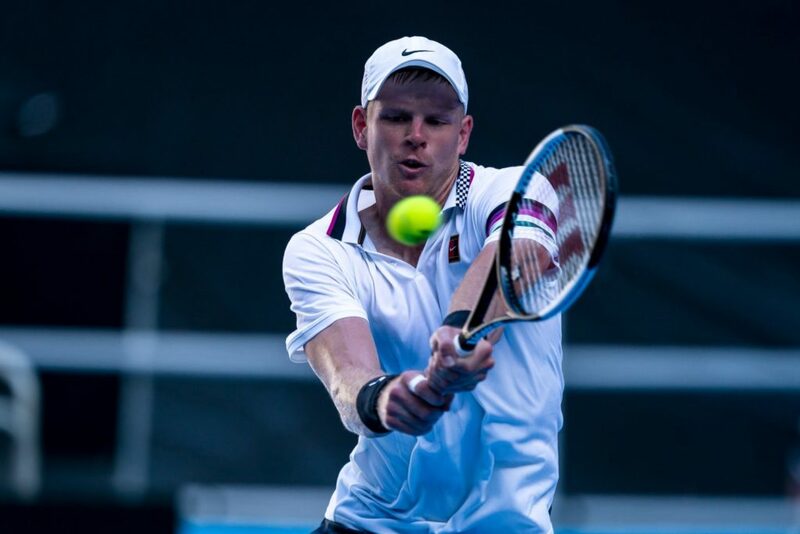 Wimbledon finalist Kevin Anderson, the fifth seed, got off to a winning start and remained undefeated in 2019 after winning the ATP event in India this month. The South African defeated Frenchman Adrian Mannarino 6-4, 5-7, 6-2, 6-1 firing 47 winners while Grigor Dimitrov, coached in Melbourne by former great Andre Agassi, advanced past Janko Tipsarevic in a 4-6, 6-3, 6-1, 6-4 comeback. American youngster Reilly Opelka, who at 2.11 metres stands 3 cm taller that US giant John Isner, showed the tenth seed the door in a 7-6(4), 7-6(6), 6-7(4), 7-6(5) battle of serve. Isner’s 47 acres were not enough to see him through against an opponent who fired 40 of his own while sending over 64 winners to the 79 of the loser. Isner has never had any Melbourne success, reaching the four round once and also busting out in the first round a year ago. 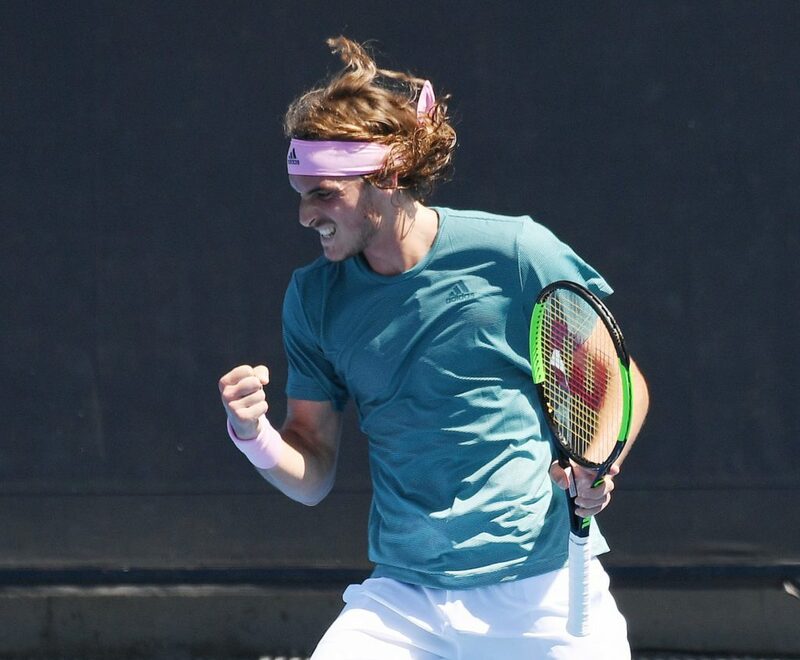 Stefanos Tsitsipas, seeded 14th, became the first Greek man to win a Melbourne match as he dispatched Italy’s Matteo Berrettini 6-7(3), 6-4, 6-3, 7-6(4). Australian No. 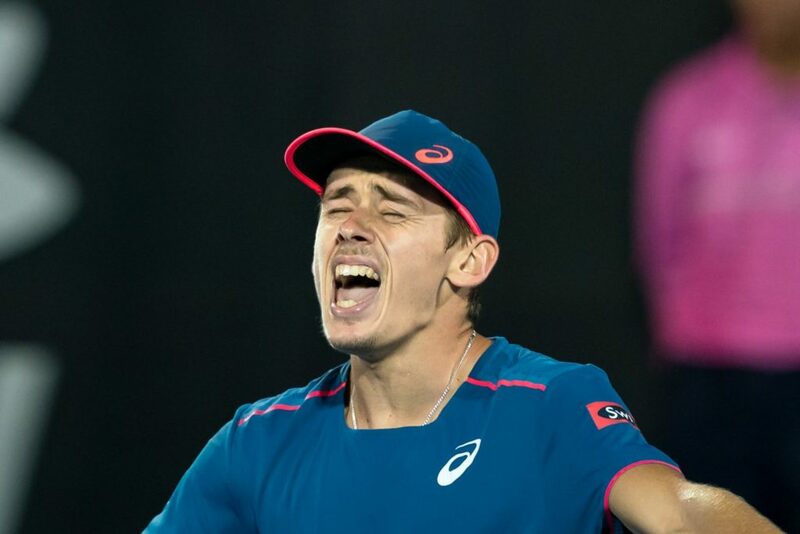 1 Alex De Minaur found his physical reserves after complaining of a short turnaround time between winning his first title in Sydney on Saturday night and starting his Australian Ope, with the teenager easily defeating Portugal’s Pedro Sousa 6-4, 7-5, 6-4. Aussie Bernard Tomic lost to Croatian sixth seed Marin Cilic 6-2, 6-4, 7-6(3). Briton Kyle Edmund, a quarter-finalist last year, went down in a heap to returning Czech veteran Tomas Berdych, losing 6-3, 6-0, 7-5. Brit Dan Evans beat fellow qualifier Tatsuma Ito 7-5, 6-1, 7-6(8). The 13th-seeded Edmund has a dismal record when dropping the first two sets, losing in all 12 of those situations he has faced in his career. Berdych missed the last six months of the 2018 season with injury; he has reached the second round in Melbourne for a 14th straight edition.